Textures are included. Santa Claus delivers presents to all the good children in the world. Santa Claus has his sleigh all packed up. Santa Claus is ready to deliver presents on Christmas Eve, but where is the reindeer? Help Santa Claus! 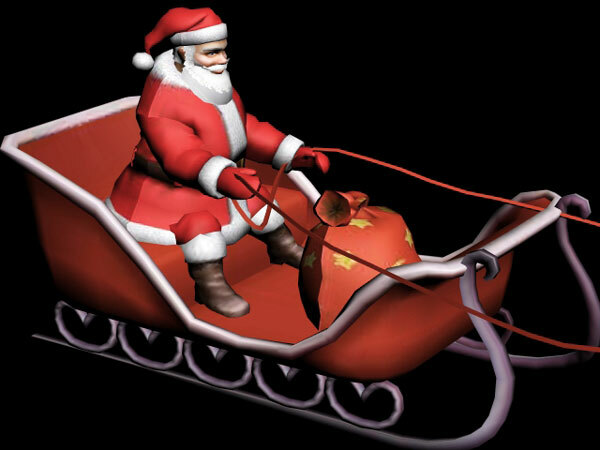 Play Santa Gifts Game! Christmas, xmas, season, seasonal, winter, wintertime, December, holiday, celebrate, celebration, tradition, traditional, character, man, person, costume, beard, hat, sleigh clipart, sleigh, christmas, gift, claus, santa, red, three-dimensional, sled, rendering, shape, winter, bag, illustration, driving, sack, riding, wrapping, loading, celebration, season, wood, decorating, satin, spoiler, silver, design, construction, header, cap, . Guest, 2016-09-30 19:33:59 thanks ! Guest, 2014-12-13 19:26:48 THANKS !!!! Nintendo 3DS, 2013-10-31 18:42:57 Check out the official website for Nintendo 3DS and Nintendo 2DS. Learn more about the games and features, watch video, and more. AwardAdmin, 2012-10-31 15:29:58 Dear artist-3d, your 3-D model design voted as a Model of the Month!Congratulations!